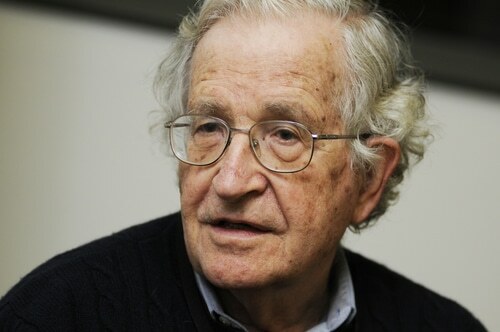 Noam Chomsky, the world-renowned political activist, linguist, and philosopher, has accused the Turkish newspaper Yeni Safak of fabricating parts of a recent interview which the newspaper conducted with him. The Turkish daily published a front page article headlined “The Arab Spring Has Now Found Its True Spirit”, which it claimed was based on an interview between the newspaper and Chomsky, centered on the crisis in Egypt. The paper stated that the interview, which was originally conducted in English and based on e-mail exchanges between the newspaper and Mr. Chomsky, had taken place in mid-August. News outlets, such as The Wall Street Journal and Hurriyet Daily News, an English-language daily news site based in Turkey, assume that other comments were faked because the quotes were simply written in incomprehensible English. The Wall Street Journal called various parts of the interview “nonsensical” because the English versions of the citations were in “unintelligible English”. Some newspapers, including iMediaEthics, reported that some of the quotes had been translated into English using Google’s translation tool. Surprisingly – or perhaps unsurprisingly – the interview “flows perfectly” when translated into Turkish. “This complexity in the Middle East, do you think the Western states flapping because of this chaos? Contrary to what happens when everything that milk port, enters the work order, then begins to bustle in the West. I’ve seen the plans works”. Hence, Chomsky published the original “full interview” from his e-mail exchange with Yeni Safak‘s reporter Burcu Bulut on August 13 on his website. It was stated on Chomsky’s official Facebook page that “Chomsky.info would like to let readers know that an interview with Professor Chomsky published by Turkish newspaper Yeni Safak on August 26 contains fabrications and is not an accurate or faithful translation of Professor Chomsky’s written response to questions he was emailed for the interview”. To explain discrepancies between Chomsky’s published e-mail interview and the Yeni Safak story, the newspaper claimed that the linguist conducted an additional e-mail interview. Bulut defended herself by stating that she had sent two emails to Chomsky concerning that issue. She continued saying that Chomsky had only published the first part of the written interviews. Chomsky, however, pointed out that he “did not answer any additional questions”. In an apparent explanation of her additions to the interview, Bulut stated that “the interviews conducted in English can be broadened by being loyal to the content. That is to say, it is not written as a simultaneous translation. Otherwise, everyone who can do simultaneous translation would be able to conduct interviews”. Eventually, on September 1,Yeni Safak admitted to fabricating three quotes that ran in the published interview and released a curt apology for the story. They admitted to “errors (…) in some parts” of the story. (“Errors apparently meaning “simply made up fraudulent quotes”). It is not the first time that a Turkish newspaper published a phony interview. Takvim released a questionable fake story with CNN’s Christiane Amanpour earlier this year.